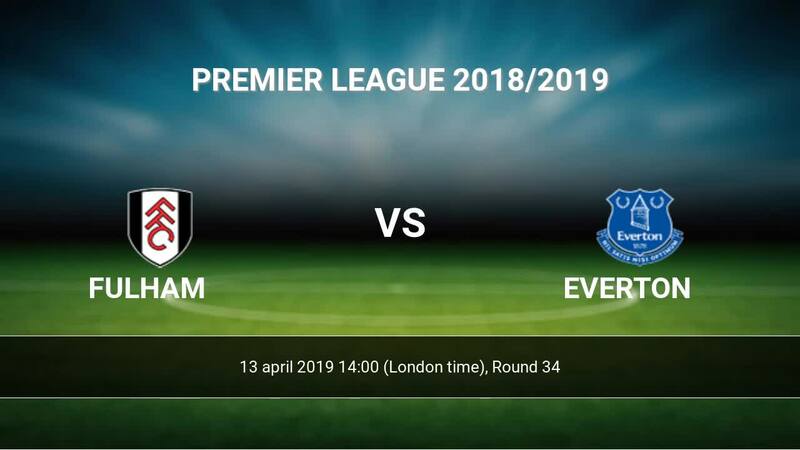 Match Fulham-Everton Premier League the fixture is set to kick-off today 14:00 on Craven Cottage. Refereee Lee Probert. Team Fulham is in the releagtion zone of the table. 19 position. In 5 last games (league + cup) Fulham get 0 points. 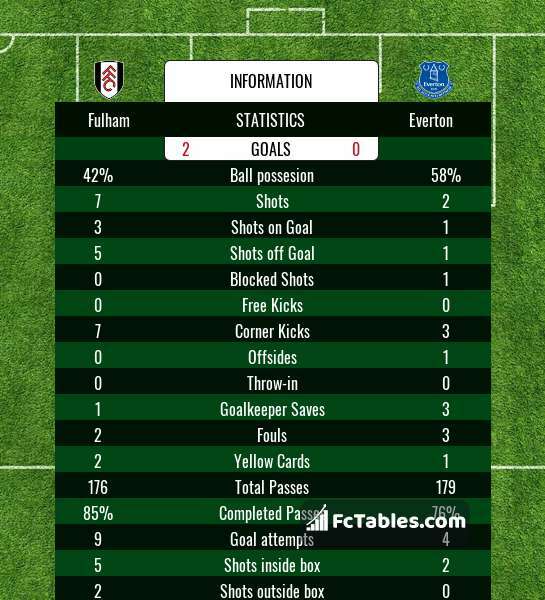 Fulham did not win the match from 9 games. 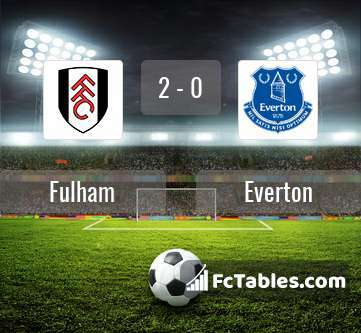 Leading players Fulham in Premier League is: Aleksandar Mitrovic 10 goals, Andre Schuerrle 6 goals, Ryan Babel 3 goals. Most assists in the club have: Aleksandar Mitrovic 2 assists, Ryan Babel 2 assists. In Fulham not occur in the match due to injury: Marcus Bettinelli, Alfie Mawson. Team Everton is located in the middle of the table. (9 place). In 5 last games (league + cup) Everton get 10 points. from 3 matches team have not been defeated. The most goals in Premier League for Everton scored: Gylfi Sigurdsson 12 goals, Richarlison 12 goals, Dominic Calvert-Lewin 6 goals. Players with the most assists: Gylfi Sigurdsson 4 assists, Richarlison 1 assists, Dominic Calvert-Lewin 1 assists. In Everton not occur in the match due to injury: Yerry Mina. Direct matches: usually ended with winning of Everton. Balace of both teams games are: 10 won Fulham, 18 wins Everton, 3 draws. In 18 matches the sum of the goals both teams was greater than 2.5 (Over 2.5). On the other hand, 24 matches teams scored more than 1.5 goals (Over 1.5). In 16 matches the both teams have shot at least one goal.